In honor of our recent achievement of working 1,000,000 hours without a recordable incident, each regional office is making a donation to a local cause or charity. 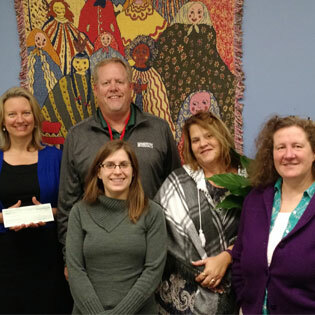 The Brainerd office donated $2,000 to Prevent Child Abuse Minnesota. Our donation will help support Prevent Child Abuse Minnesota’s impactful mission by funding programs and services that are crucial to the organization. “We need people who have faced challenges coming up with solutions for child abuse; people who have real life experiences,” explained Becky Dale, COO at Prevent Child Abuse Minnesota. Prevent Child Abuse Minnesota is dedicated to preventing child abuse and neglect by promoting positive parenting, healthy families and supportive communities. Each year they serve nearly 2,500 parents and children from across Minnesota and help hundreds of communities and organizations to build stronger systems for preventing child abuse and neglect. Watch for more to come on our other regional office donations!